After a sell out run at the Menier Chocolate Factory Funny Girl Theatre Breaks have now transferred to the Savoy Theatre. 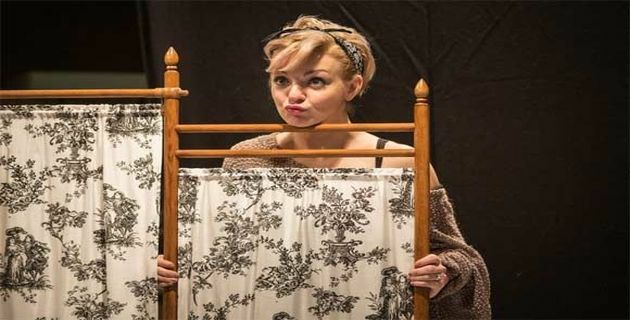 Funny Girl Theatre Breaks stars our very own home grown funny girl and incredibly talented actress – Sheridan Smith*. Funny Girl is a bit of a musical classic. The story is about the bitter-sweet life of Fanny Brice who rose from a music hall singer in Brooklyn to become a Broadway star. But it is not only her vocal talents and comic ability that make her story a fascinating one. She also endured a tempestuous relationship with gambler Nicky Arnstein. Apart from the story, the music for Funny Girl is also one of the reasons why tickets for the original run at the Menier Chocolate factory sold out in record breaking time! Funny Girl Theatre Breaks features some of the most iconic songs in musical theatre, including “People” and “Don’t Rain On My Parade”and yes, you are right: the film starred Barbra Streisand and pretty much launched her career. Of course we all already know and love Sheridan Smith. Funny Girl was written by Jule Styne (music ) and Bob Merrill (lyrics) with a book by Isobel Lennart from an original story by Miss Lennart, with revisions by Harvey Fierstein. This production is directed by Michael Mayer (Hedwig and the Angry Inch & Spring Awakening on Broadway). *Please note that at Monday night performances the role of Fanny Brice will be played by Natasha J Barnes who will next appear along side Paul O’Grady, Julian Clary, et al in the traditional Christmas pantomine Cinderella at the London Palladium from 9th December 2016. Funny Girl is surrounded by great hotels but with Charing Cross, Embankment and Covent Garden Tubes nearby you can easily get to your hotels in the rest of London. At the moment we have 10 hotels on offer for Funny Girl Theatre Breaks , from the 3 star Thistle Barbican to the 5 star Rosewood. Funny Girl Theatre Breaks start at £147.50 per person with stalls seats although you can get cheaper seats if you would like to save money. How do I get to Funny Girl?